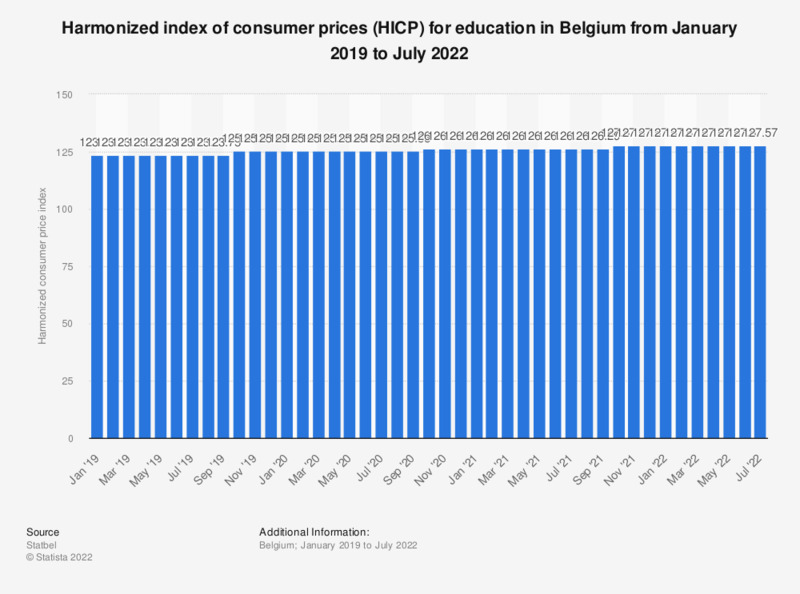 This statistic shows the harmonized index of consumer prices (HICP) for education in Belgium from February 2018 to February 2019. In February 2019 the harmonized consumer price index for education was 123.75. * According to the definition of Statistics Belgium, the harmonized index of consumer prices (HICP) was created in 1997 to establish a comparable measurement of inflation for all the countries that would be part of the Eurozone. Since the start of the Euro, HICP has been one of the most important measurement tools of the European Central Bank (ECB) in organizing their monetary policy. The recorded prices are the prices as they are for the consumers, including for example taxes on products like tax added value. The prices also take into account the sales periods.